In the spirit of the holiday season Glee will donate 100% of the net monies from the sales of their version of Band Aid's 1984 hit "Do They Know It's Christmas?" to The Band Aid Trust (www.bandaid.org.uk). The Band Aid Trust, a registered British charity since 1985, has raised in excess of 190 million dollars to support projects designed to make a lasting difference in Ethiopia, Somalia and surrounding countries in East Africa. This includes the construction of schools, hospitals, boreholes, wells, rain-water harvesting facilities and latrines, as well as food security, hygiene, sanitation, livelihood diversification and income generating activities, training in-country for teachers, doctors and nurses, assistance for those living with HIV/AIDS, and emergency interventions such as nutrition screening programs, seed and animal distribution and the procurement of emergency food aid to treat severely malnourished children and adults. By July 1985, over $6 million had been spent on buying and transporting food, shelter, medical supplies, water equipment and other essential items to famine victims Ethiopia and Sudan. The Live Aid concerts on July 13, 1985 raised over 80 million dollars world-wide, which was spent on programs designed to address some of the underlying causes of the famine. In 2005 the Band Aid Trust put on 11 concerts around the world to demonstrate to world leaders that they had a global public mandate to reduce debt, facilitate trade, and increase aid for Africa. This resulted in an unprecedented commitment from the G8 leaders to these aims. In 2011, Band Aid contributed $5.5m to support emergency projects in Ethiopia and Somalia in response to the current food crisis in East Africa. When asked about Glee covering "Do They Know It's Christmas?," Bob Geldof noted "The reverberations of this little song continue down the long 26 years since Midge Ure and I wrote it. It could not be more timely now that Glee with its vast global audience of young people re-introduce it to a whole new constituency who are probably unaware of the great tragedy unfolding amongst the hungry, poor and dying of Somalia as a result of drought and a bitter and pointless civil war. This song was made specifically with that intent. Band Aid would like to thank from the bottom of its heart all the producers and actors of Glee who have gone beyond their normal brief of entertainment and entered into the spirit and understanding of that recording and its artists 26 years ago and its many subsequent iterations, by opening their web-site to the topic of poverty and the poor and linking it through to the Band Aid and the ONE campaign sites. This is entertainment with purpose. This is putting what you do and who you are to a focused concern and in so doing alter the lives of many thousands of otherwise voiceless people. This is beyond acting or singing or producing, lighting or directing. This is engaging. Out of the blue, what an unlooked for and exhilirating Christmas present not just for the hungry, hurt and poor but for all of us at Band Aid, One and the many many artists of Live Aid and Live 8. Glee...thanks." Glee's version of "Do They Know It's Christmas?" appears on Glee: The Music, The Christmas Album Volume 2 and can be seen on a special Glee Christmas episode which airs on Tuesday, December 13, at 8:00PM ET/PT on FOX. Glee: The Music, The Christmas Album Volume (released November 15) and Glee: The Music, Volume 7 (available December 6) are the latest releases in the Glee catalog of music. Glee: The Music, The Christmas Album Volume features the 2 new original songs "Extraordinary Merry Christmas" and "Christmas Eve With You", both written by Adam Anders, Peer Astrom and Shelly Peiken. Glee: The Music, Volume 7 features memorable tracks from the third season of Glee including Michael Jackson's "Man In The Mirror," Beyoncé's "Run The World (Girls)," and Katy Perry's "Last Friday Night". Seasons on the Terrace was inspired by the design and beauty of Central Park, and the Conservancy's 30-year role in bringing this national treasure back from a devastating decline. The installation was created with digital mapping – a process that matches 3-D points to a 2-D plane. That 2-D plane was Bethesda Terrace – located, appropriately, in the heart of Central Park. Narrated by Kevin Bacon with musical selections from Sting's Symphonicities, this digital artwork lets Central Park admirers from around the globe enjoy its colorful spring blooms, green summer lawns, rust-colored fall foliage and snowy winter landscapes – all without traveling an inch. 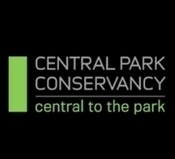 Check out https://www.facebook.com/centralparknyc?sk=app_303704119646914 to learn more. In the last Virtual Ticket video, concert-goers told us which songs they would most like to hear on the Back to Bass tour. 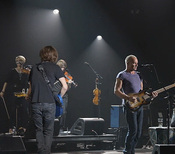 In this new clip, Sting discusses the process of selecting the songs that made the cut! Not a member of Sting.com? Click here to join and receive exclusive Virtual Ticket content, premium access to ticket pre-sales, members-only event opportunities, and more!